The 10-team cricket extravaganza will be played between 30 May and 14 July next year. Kolkata: After hosting the ICC Champions Trophy last year, England and Wales Cricket board are all set to host 2019 ICC Cricket World Cup. The 10-team cricket extravaganza will be played between 30 May and 14 July next year and the full schedule will be announced today. According to the ICC media release the details of ticket pricing, how and when tickets can be purchased will also be confirmed. Australia, Bangladesh, England, India, New Zealand, Pakistan, South Africa and Sri Lanka all confirmed their place at next summer’s tournament thanks to their MRF Tyres ICC ODI rankings on the cut-off date of 30 September 2017. They were joined by the West Indies and Afghanistan, who booked their spot for the mega event through the ICC Cricket World Cup Qualifier in March. 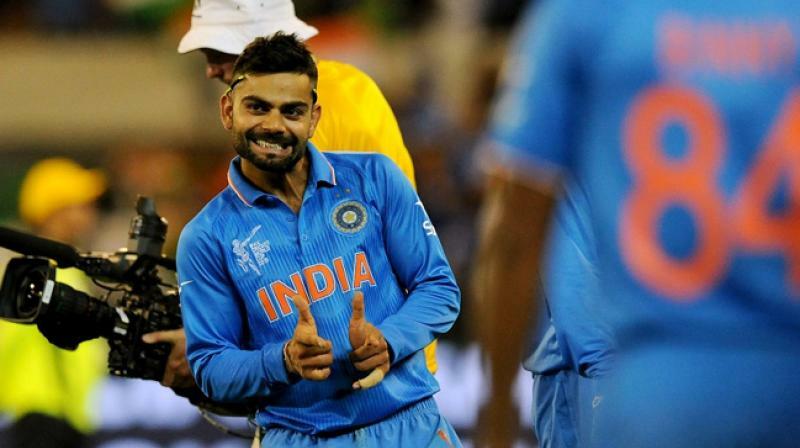 India will be their first match of the World Cup against South Africa on June 5. The blockbuster match against Pakistan is schedule to take place on June 16. Here is the tentative detail of rest of the matches.